1. Wash and drain Toor/Yellow split peas, cook it in a pressure cooker for 8 minutes together with turmeric powder, salt and 1 1/2 cup of water. Let the gas out naturally while we work on the vegetables soup. 2. Chopped onion and tomato. Heat up 2 tsp of oil in a pot, add fenugreek seeds, asafoetida and mustard seeds, when the mustard seeds start to splutter, add chopped onion and dried chilies, stir and cook until onion become translucent. Add chopped tomato, cook for 1-2 minutes. 3. 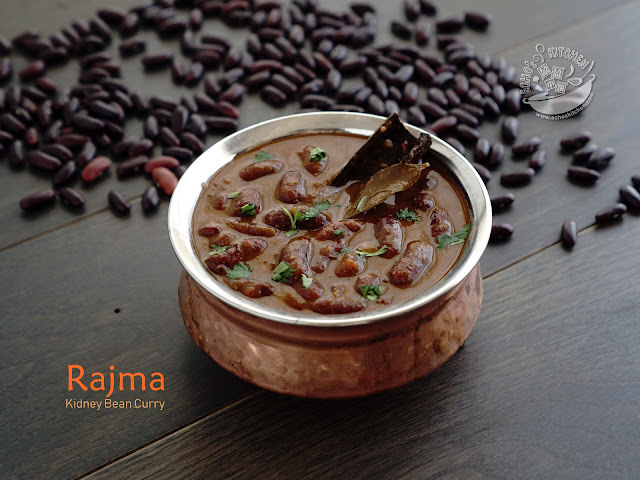 Add the tamarind paste into 1 cup of water, stir well and add it into pot, bring to boil and add all the vegetables, cook for 2-3 minutes, add Sambar Powder and cook for another 5-8 minutes or until all the vegetables are cooked. 4. Pour the cooked vegetable/tamarind soup into the pressure cooker with the cooked yellow split peas, stir well and cook for 5 minutes, season with salt. 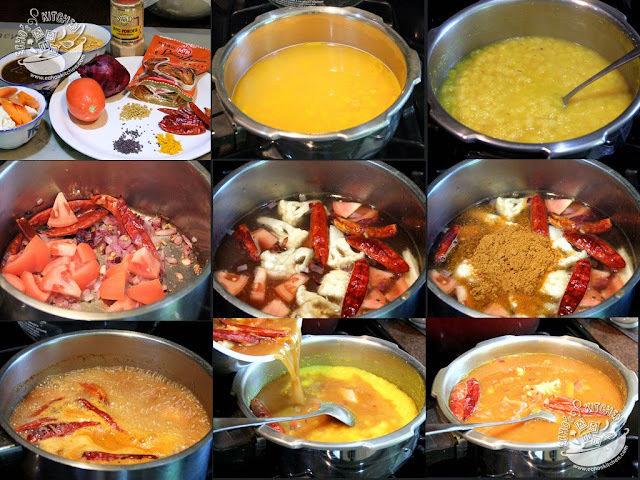 Serve hot with Idli, Dosa, Adai or Uttapam. You can cook a large batch of toor dal in a pressure cooker then save in ice cube trays. Freeze it. 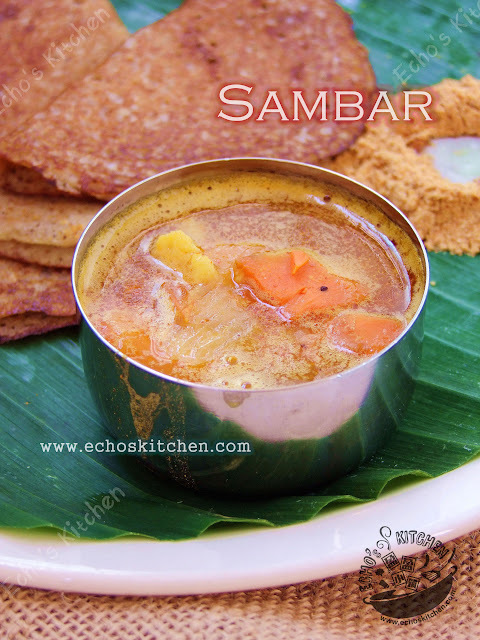 When ready to use, about 5 or 6 cudes for sambar!! Saves you time..
thanks Modesta for your suggestion! Will do.